DOMFESTA 2018 was launched on Tuesday April 11, at the Old Mill Cultural Centre under the theme, Rebuilding and Rebounding through the Arts. Justina Charles, outgoing minister with responsibility for Culture addressed the gathering reminding media professionals and others present that "Culture plays an important part in the rebuilding process." She noted that after Hurricane Maria cultural expressions had been toned down. There had been a diversion of funds due to that event and several performing artistes had lost costumes as well as equipment and instruments. She said that Dominicans, by virtue of their resilience, were picking up the pieces and moving on and that cultural expression would "bring some healing and strength to the community." Charles commended the Prime Minister for recognizing a good synergy which exists between tourism and culture as indicated by his adding the responsibilities of Culture to the portfolio of Robert Tonge, Minister of Tourism. 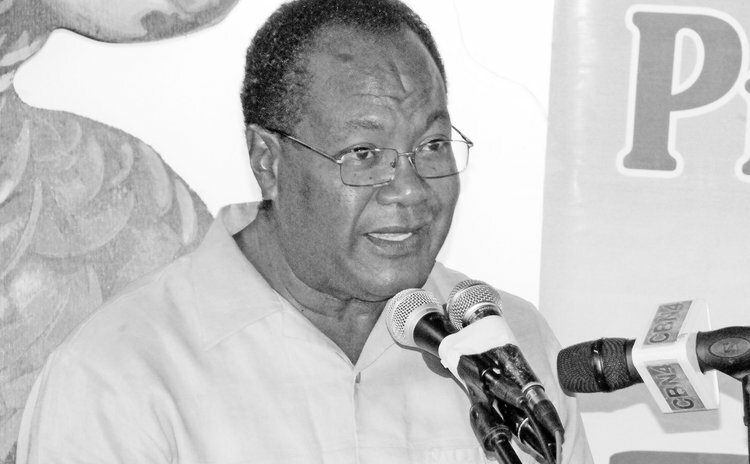 Tonge had accepted Charles' invitation to attend the Domfesta launch the day before he officially embraced responsibilities for cultural affairs, a gesture indicative of his commitment. "Culture can piggy back on tourism," she noted "and make resources stretch". It being her final official address as Minister of Tourism, Charles pledged her undying support for the work of the Cultural Division and for the Ministry of Tourism. Raymond Lawrence, Chief Cultural Officer and Chairman of the National Cultural Council who served as Master of Ceremonies for the DOMFESTA launch outlined the 2018 programme, drawing attention to the Miss Teen Dominica Pageant on April 14 ; the launch of a Jing Ping documentary, and the DOMFESTA Culture Showcase in Pointe Michel, on Sunday April 29. The Domfesta Art Exhibition, the finals of the Creole Spelling Bee, now in its 7th year and the Masterville Joseph Photography Exhibition are also included in the activities. The DIFA End of School Year Concert as well as the much-awaited DOMFESTA Song Contest both to be held at the Old Mill will bring the programme to an end. The DOMFESTA media launch was also addressed by Collin Piper, CEO and director of tourism as well as programme director, Ivona Jno Baptiste Lugay and Amelia Joseph of DBS. Joan Frampton of the Pointe Michel Domfesta Showcase took the opportunity to thank all contributors to DOMFESTA. She ended by extending a special invitation to the Pointe Michel event carded for April 29.